I've never read a Dungeons & Dragons novel before in my life but after watching a bunch of the D&D episodes of Acquisitions Incorporated they had a guest appearance of Drizzt and they all freaked out. Since they're all people who's opinions I tend to like I thought I should check out the source material. That brought me to the first Drizzt book, and there are many. This one is called Homeland and it's set in the Underdark in the city where Dark Elves live that starts with the letter M but I'll never be able to spell it from memory. It was a good fantasy book, but not a great one. Nothing crazy or unpredictable happened but it also wasn't so formulaic that I was bored the whole time. It really was a middle of the road fantasy novel. 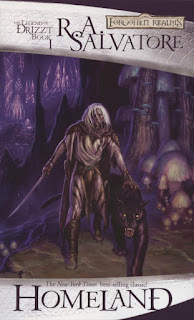 But, it got me interested enough in the character of Drizzt that I'll pick up the next book. 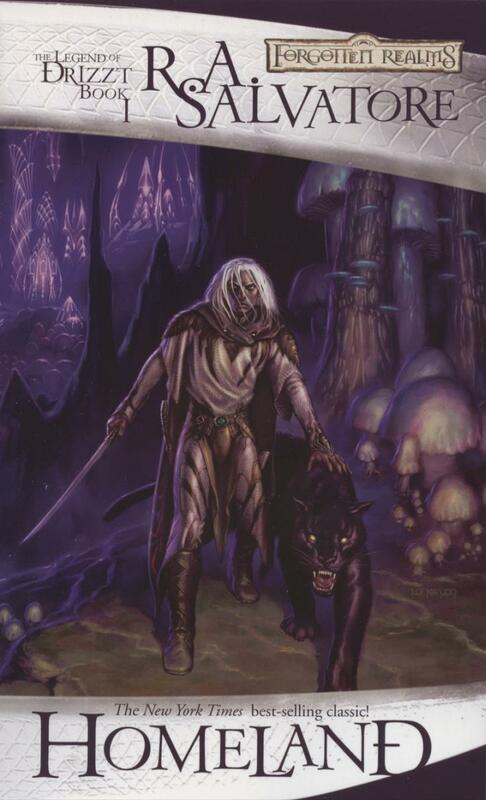 I just hope that he gets out of the Underdark setting and gets to go explore more of the world. I would love to find out what happens once he's out of his element.